One of the most stressful times for me as a mother is when my kids are sick. I am not a doctor, but being the mom of 7 kids, I have learned a few tricks when it comes to caring for my kids when illness strikes. If your child’s health is in serious danger- please seek immediate professional medical help. You probably do most of these, but just in case, I wanted to put a post together to help you exhausted mamas out there. Maybe this post will be helpful just to jog your sleep deprived memories. Because if you’re like me, you just aren’t quite on your game when you’ve been up late and all through the night with fevered brows to comfort. Let’s start with the old cough and cold, since we are in the middle of flu season. Stir together. That was easy, right? My kids don’t love how sour it is, but they always see a difference, so they’ll chug it down. I had a voice teacher in high school who also recommended this in conjunction with a hot bath. That is wonderful if you have a cold, but if you are trying to tame a fever, skip the hot bath. That bath will just get your fever raging higher. My husband laughs at me because I’m obsessed with this stuff. I use it almost nightly to free my nasal passageways, but I love it. Rub it all over your chest, under your nose and even the bottoms of you feet. Throw some socks on it keep it on longer. This will help open up your air ways. This product can be a sensitive topic. People on both sides of the fence are really for or against it. 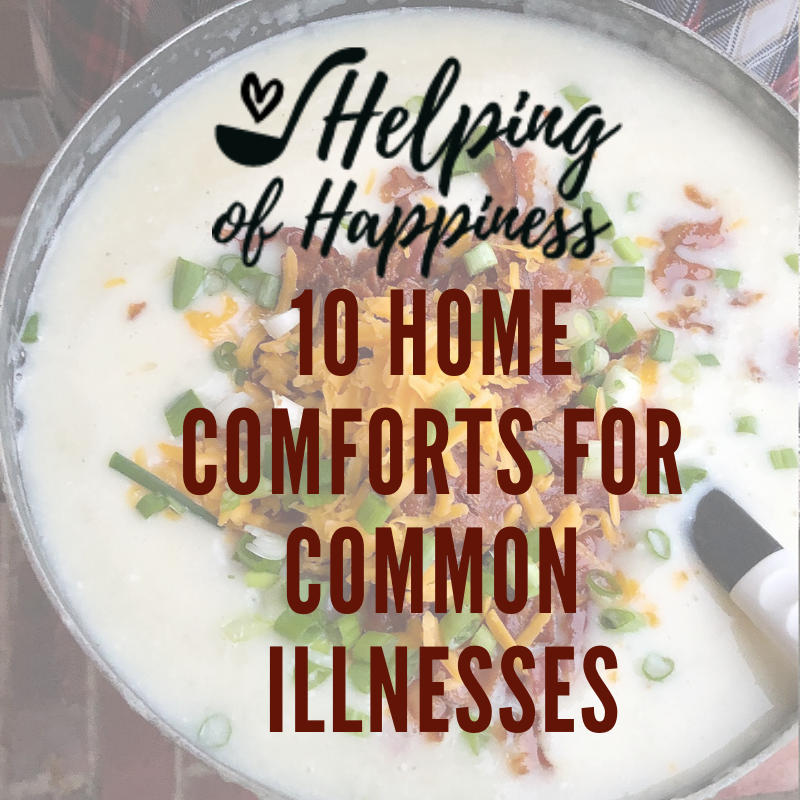 It has been very helpful for our family when the kids have had really high fevers that we couldn’t get down with pain relievers. It smells pretty strong, so be prepared for that. When my kids are super hot with fevers in the middle of the night, they’ve taken as much medication as they safely can, I strip off the blankets and their shirt and start rubbing this on them with cotton balls or a wash cloth. It doesn’t take the fever away, but it always seems to help bring it down a degree or two. Croup is one of the scariest sicknesses. It always seems to come out of nowhere and the kids are all of a sudden gasping for breath with a terrible barking cough. We’ve had this happen so many times on vacation when we’ve been in hotels. It really is the worst. Because of this, we bring a little tote full of kids medications with us on every trip. For croup, ibuprofen is our must have. It brings down the swelling of the trachea, larynx and bronchial tubes so the air can get through easier. The minute we hear this cough, we give our kids a dose of ibuprofen and head for the shower. The kids don’t even need to get in the shower, but we go to our smallest bathroom, turn the water as hot as it will go, and steam up the bathroom as much as possible for several minutes. Then we rush the kids outside (as long as it’s cold out there- if it’s hot, head to the freezer). Have them take some long deep breaths of cold air for about 30 seconds to a minute. Then head back into the house. Sometimes we steam again after the cold. If this doesn’t help, call a doctor or take them to the urgent care right away. Having a humidifier has been a sickness staple at our house. Whenever the coughing starts, we bust out the old humidifier to get the moisture flowing. Another nice way to get water in the air, but also make the house smell amazing, is to boil water on the stove with some cinnamon and cloves sprinkled in there. If you really want a delicious smell, add in some cranberries and some orange peels. Amazing! When I am sick, I’m not really up for a heavy meal. Especially when my throat is sore and my stomach feels like it is filled with snot. Chicken noodle soup feels so nice on a scratchy throat, and can cover a few food groups to give you the vitamins and nutrition to fight the sickness. Here is our recipe. One of the biggest struggles when you’re ill, is getting enough fluids. Sometimes kids can be resistant to drinking much, so we have to mix it up a bit. Have a big sports bottle of water next to your kids at all times is a great help. I give my kids drinking challenges. “Drink to the top of the letters on your bottle in the next 5 minutes.” Just so they don’t feel like they have to chug the whole bottle, but that you can see something is actually getting inside them. We also always try to get several different flavors of Powerade or Gatorade. When my kids have been throwing up, I like to do my own 50/50 concoction of 7up and Powerade for my kids. The soda seems to settle the upset stomach and the electrolytes in the Powerade help give them a little more hydration than soda. My sister really likes pedialyte mixed 50/50 with ginger ale for her kids. Popsicles are also a great way to mix it up with out them drinking too fast and further upsetting their stomachs. After the kids have been throwing up, I’m very slow to introduce solid food. I make sure they can hold down the liquids for a hour or more first, and then try to introduce some very dry crackers like saltines. Just a couple at a time. Once the crackers are staying down, you can move onto some other simple foods. My kids love these homemade rolls. When the runs just won’t quit, we do the BRAT diet until our tummies are back to normal. It’s super boring, but it gives the tummy something really easy to rebound on. I also like to give them some probiotics to help the stomach get that good bacteria back to doing it’s job. I really believe sometimes the Lord blesses our house with illness so we will take some time to slow down, have opportunities to love, serve and appreciate each other a little more. I hope these tips have all been helpful. It is how we survive the sickness in the Hess house. Please, message me if you have any questions. But most of all, consult a doctor to make sure these remedies are right for your family.